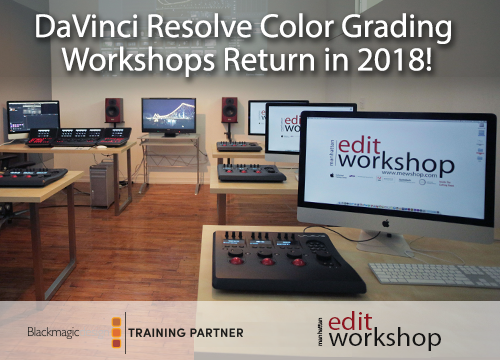 As a longtime Final Cut Pro user, David Lawrence has been looking for a new NLE, since FCPX isn't an option for his editing style and does not meet his needs. 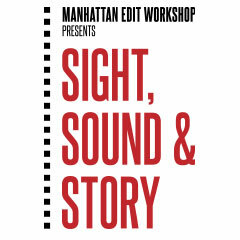 When word leaked out of a CS6 trial release, David took Premiere Pro 6 for a spin. And in this report for Creative COW, he shares his first impressions. 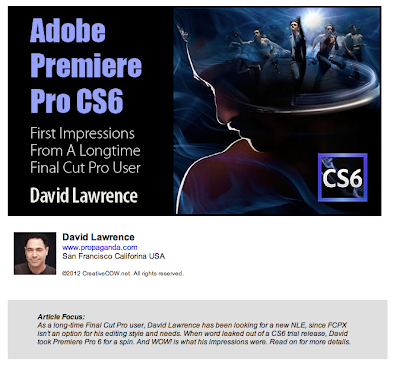 He opens his report stating: "Like many of you, I've been itching to get my hands on Adobe Premiere Pro CS 6.0 ever since Adobe's official announcement and demo videos. As a longtime Final Cut Pro user, NLE change has been a given ever since the Final Cut Studio EOL last June. The big question has been 'change to what?' I've written extensively about the Final Cut Pro X timeline and why it's not right for my style of editing. Since FCPX isn't an option for me, I've spent all year watching and waiting to see what other NLE vendors might come up with. To continue reading this article more click here.